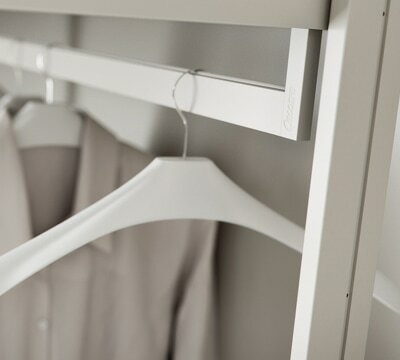 ​The exclusive coat-hanger rod features an anti-noise profile. 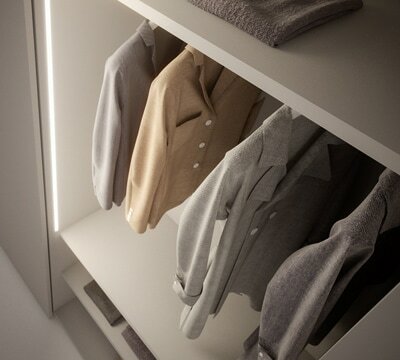 ​Powerled provides functional internal lighting. 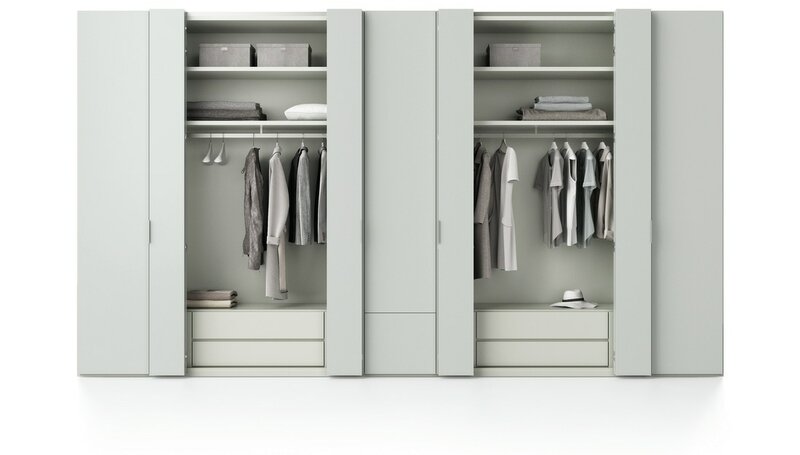 ​As an alternative to the side panel, the upright maintains the inner size of each compartment and multiplies space creation options. 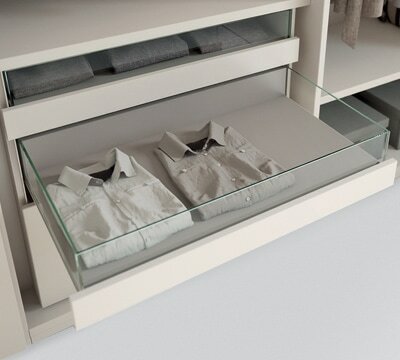 Everything is visible at one glance thanks to the transparent drawer with glass front and sides. 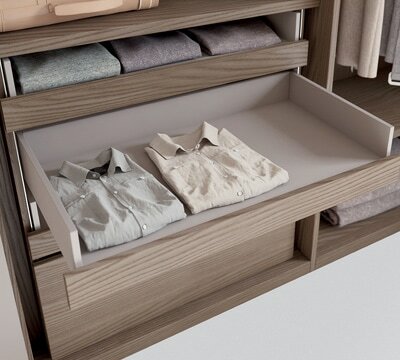 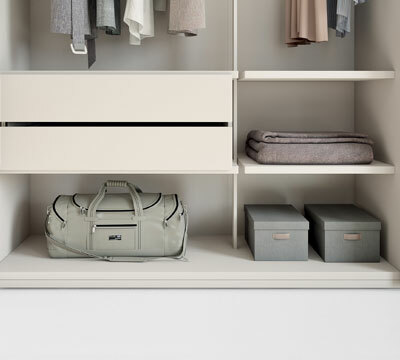 The open-front drawer is ideal for neatly putting away and choosing shirts. 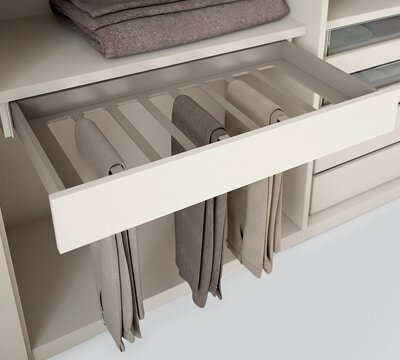 The full-extension trouser rack is perfect for keeping garments tidy and creased.